Wondering how to get to Milford Sound? Milford Sound is located in a remote part of the South Island, with only one road leading to the world famous fiord. The Milford Road is not just a way to get to Milford Sound. It’s an unforgettable journey into the heart of Fiordland National Park. There are several ways to get to Milford Sound, including bus and coach travel, self-drive or air travel. The method you choose will depend on the amount of time you have, your budget and what type of traveller you are. Read on to find Milford Sound travel info, including GreatSights and awesomeNZ day tours and transport options from Queenstown or Te Anau, and choose which one suits you best. 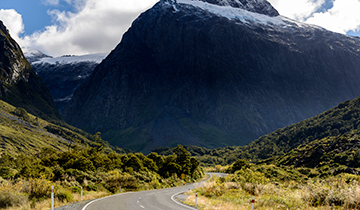 We’ve also included a guide to the highlights of the Milford Road – due to its breathtaking natural scenery, it’s just as memorable as Milford Sound itself. Travel to Milford Sound by bus for a cost-effective option. Alternatively, upgrade to a coach tour including a Milford Sound cruise. Find out about bus and coach tours to Milford Sound and what you can expect from the different operators. 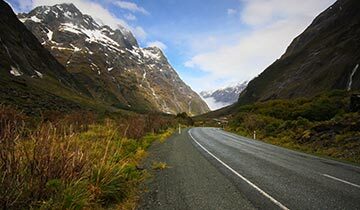 Want to self drive to Milford Sound along one of the world’s most scenic routes? You can get there in a car or campervan – but make sure you read our guide on driving to Milford Sound to make sure you’ve planned well and avoided some common mistakes. 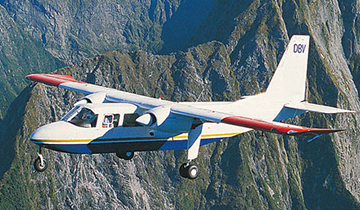 Scenic flights to and from Milford Sound offer breathtaking beauty and a unique way to see Fiordland National Park. 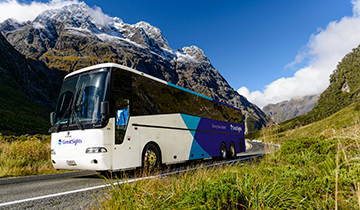 You can upgrade your Milford Sound coach tour to include a flight back to Queenstown. Helicopter flights are also available. Read about the road to Milford Sound and the spectacular sights you’ll see along the way, including the Englinton Valley, Mirror Lakes and the Chasm. 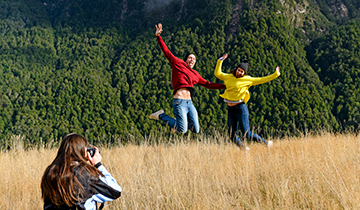 Find out where to stop for photos, and the history of this pristine part of New Zealand. If you’re planning a trip to New Zealand, make sure you include Milford Sound in your plans! We’ve put together some itinerary options for Milford Sound so you can see suggested routes and other must-see destinations in the South Island. 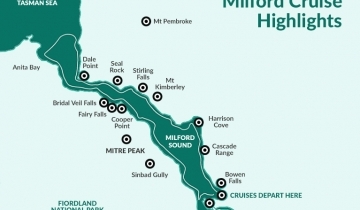 See a range of maps for getting to Milford Sound, and what you’ll see during your cruise.